Today Fan-Art is ayudameavolar. 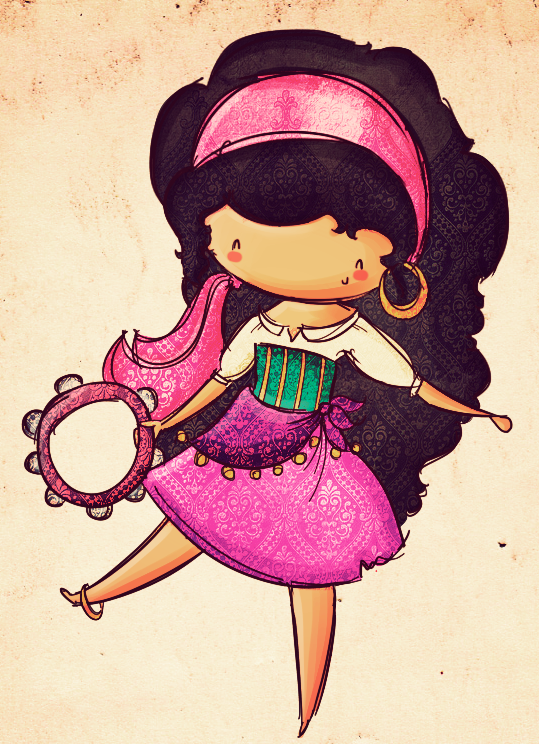 It’s Chibi Disney Esmeralda. I think it’s adorable. I love the paisley pattern. It’s so cute.